This recipe from my mom's collection had an influence on my apple cranberry crisp recipe. 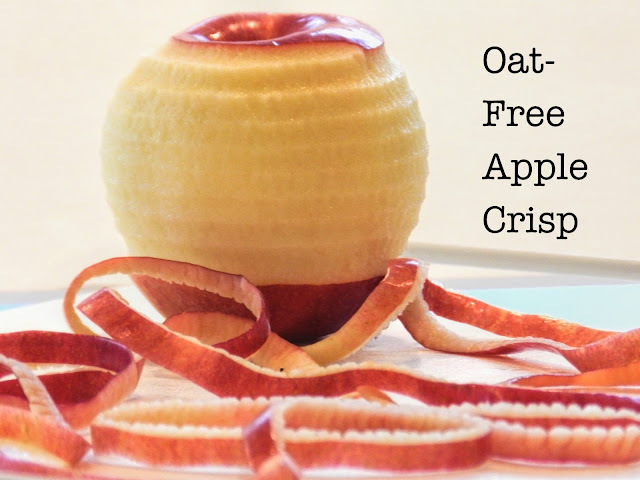 It does not contain oats, which I love in a crisp, but I find some people want a crisp with no oats. So if you like your apple crisp minus the oats, try this one. You won't be disappointed. Preheat oven to 350 degrees. Spread apples in a 9X9 pan sprayed with non-stick spray. In a medium-sized bowl, mix together sugar, flour, baking powder, cinnamon, salt and egg. Spread on top of apples. Cut butter into small squares and place evenly over topping. Bake 35-40 minutes.